Hey guys! Check out this awesome article published to CryptoVest. Originally published here. Do you remember the craze Pokémon Go sparked a year ago? Mobile games like this are the perfect example of how augmented reality (AR) applications enter our life. 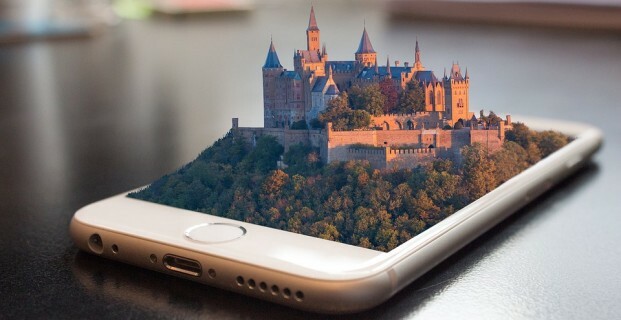 The speed of AR development in the next few years may become dizzying and research company Greenlight Insights forecasts that the AR market will reach around $36.4 billion by 2023. Any company that catches the hype will grow along with the market. “We are high on AR for the long run. We think there are great things for customers and a great commercial opportunity… It will be huge”, according to Apple CEO Tim Cook. Lucyd follows the trends and foresees the needs of potential customers. The project aims to develop innovative smart glasses that will feature advanced eye tracking, enhanced field of view, prescription lens compatibility, a low-profile form factor, and a customizable control scheme — features currently missing in products available on the market. The LCD token was created to crowdfund the prototype development of Lucyd Lens, and to create the Lucyd Lab blockchain. Afterwards, the LCD token will be used as a currency within the AR world to buy smart glasses, apps, and media within the Lucyd network. This is the first ICO that already holds exclusive rights to 13 AR patents and a team that boasts seven PhD scientists in the field of optics and AR. The pre-sale stage of Lucyd’s crowdsale started on October 17, 2017, and ended October 31, 2017. The next step — the LCD general sale — began on October 31, 2017, and will last till February 28, 2018. There are only 50 million LCD tokens available for sale, while the total supply is limited to 100 million. The team has raised over $3.5 million so far, with the ultimate fundraising goal set at $10 million. If you’re interested in the LCD ICO, you can visit their official website or follow the project on Twitter and Telegram.